Happy Star Wars Day!! On this, the nerdiest of holidays--one that combines the most pop-culturally successful science fiction franchise in history with the love of puns--it is appropriate to post a phot of Star Tours. 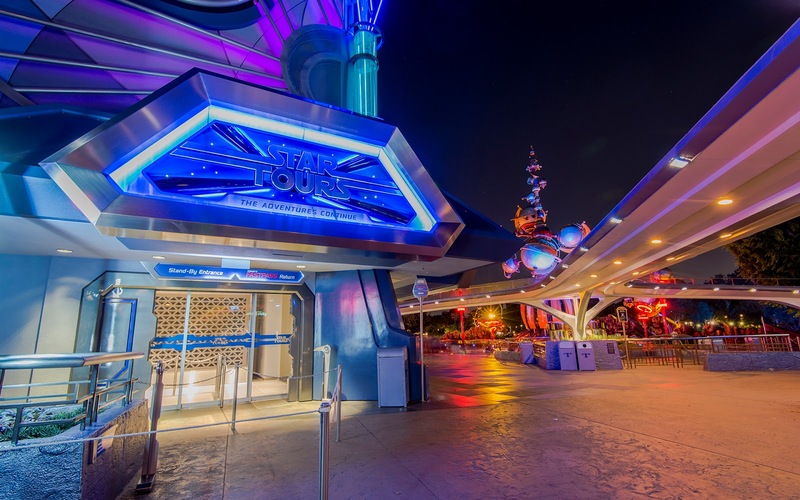 As Disneyland's resident Star Wars themed attraction, Star Tours has been thrilling guests for a couple of generations, and with the revived movie franchise coming up, it will be interesting to see what other Star Wars attractions may be added to this and the other Disney parks!